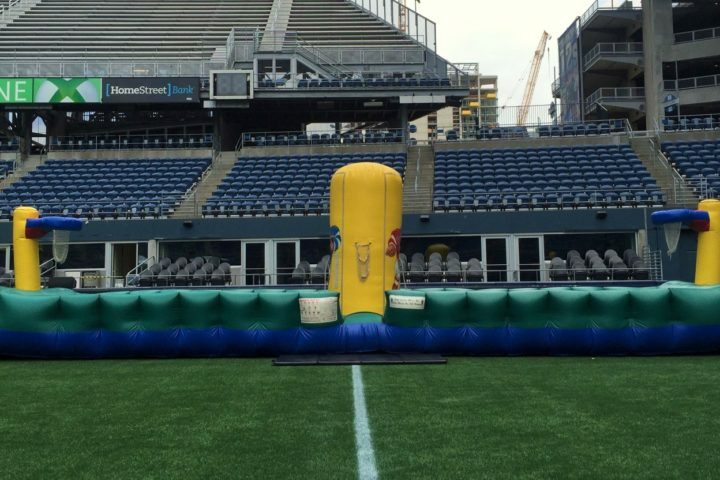 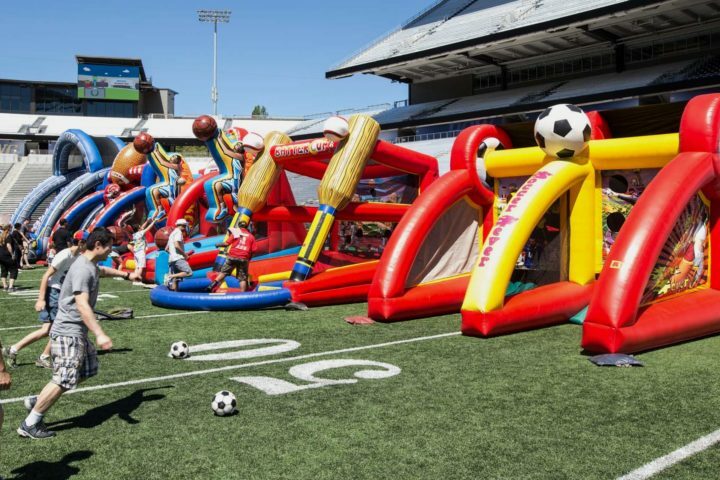 This inflatable is a fun competitive twist on two childhood classics. 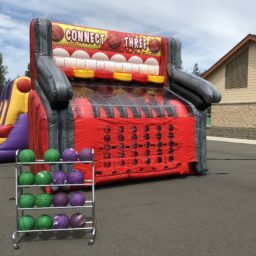 Connect Four and a game of basketball have both been widely enjoyed by people of all ages but now combine them for a unique game that everyone will enjoy. 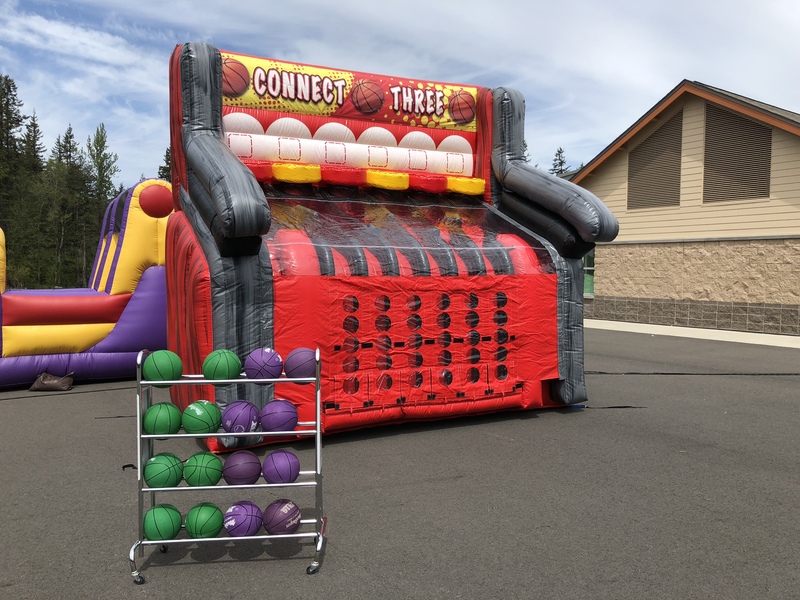 While it’s not really connect four basketball (you only have to connect three), it still serves the same purpose and is plenty challenging. Guests will have the opportunity to put their basketball skills to use in a head-to-head connect four-style shoot out, trying to get three basketballs to line up in a row and block their opponent from lining up their basketballs as well. 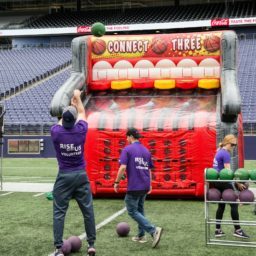 This fun indoor or outdoor group game is the perfect activity to ignite some friendly competition at your next corporate event, launch party, or fundraiser.